“Peggy-licious!” boomed Renovation Family Ministry Pastor, Joey Todd, as he greeted Peggy at Port City Java in Hampstead, on his way to another meeting. Peggy laughed in good nature, shaking her shiny brunette locks. I’m sure that’s exactly what she wants everyone to call her and will be thrilled to have a silly nickname on record for to all to see. Honestly, Peggy likely won’t care. While her demeanor is gentle and kind, her laughter is quick and her sense of humor sharp. She is exactly the kind of person you feel safe leaving your child with. RenoCity is the area where children ages 6 weeks to 4 years old spend Sunday gatherings, learning that their friend Jesus created them. As you drop off your child, you’ll meet Peggy. She is at the computer, printing name tags and security tickets, making you feel secure that your child is in good hands. Her faint southern accent and sweet smile immediately put you at ease, and you just have a feeling she’s a really good mom, without even knowing a thing about her. She is in fact a mother of two, and works in clinical research. Married to Chris in 2008, they parent six-year-old Paisley and four-year-old Owen. Peggy-licious was blessed to lead a life surrounded by faithful, Godly, examples, attending a private Christian school in her youth and even meeting her handsome husband on a mission trip to Ecuador through their church. Her husband had attended the same church since he was a child, and they settled happily into their lives there. However, God had something different in store for the Sellars family, and they didn’t have a clue about the adventure awaiting them. Marveling at the way God used little Paisley to begin their new adventure, Peggy explained how they realized they wanted to be really involved right here in the community they lived in. It was a defining moment for their family, and it all started with trusting God to care for their child, wherever she attended school. “We were scared to send her, but I felt like it was being obedient to God to send her. And now I’m just like, Thank You Lord!” she said with a knowing smile, noting that simply stepping out and trusting the Lord when they didn’t have any control over the environment, was a huge leap of faith. The Sellars family has jumped into serving at Renovation without regrets. Chris serves on the Safe Team, ensuring our kid’s ministry environments are secure. Peggy served at the check-in station for six months straight without attending a Sunday morning gathering herself. “I never felt down or out or upset because I couldn’t go to the service, but now that I have been able to go, I didn’t realize how badly I needed it. Now that I can go, I’m like, oh my gosh, this is so good for my soul,” she said with appreciation for the new two service model. How good it is to feed the souls of the volunteers as well! The significance of Peggy’s role at Renovation never struck her until recently, when she attended a church conference focusing on the long-term impact of investing in Kids Ministry. While reading all the statistics about the children and their various backgrounds, she realized she was making a difference that went far beyond just serving as a volunteer. It was more than helping parents as they dropped off their children. “Even just smiling at someone and having a good attitude about it matters. This is what I’m supposed to be doing. No matter what the background of whoever, we are here to show the love,” she said with joyful conviction. Peggy certainly shows the love. She reflects a heart of joy and service, no matter where you find her. When God presented her with this new adventure, Peggy-licious jumped in with both feet, absolutely fearless in trusting the Lord with her family. 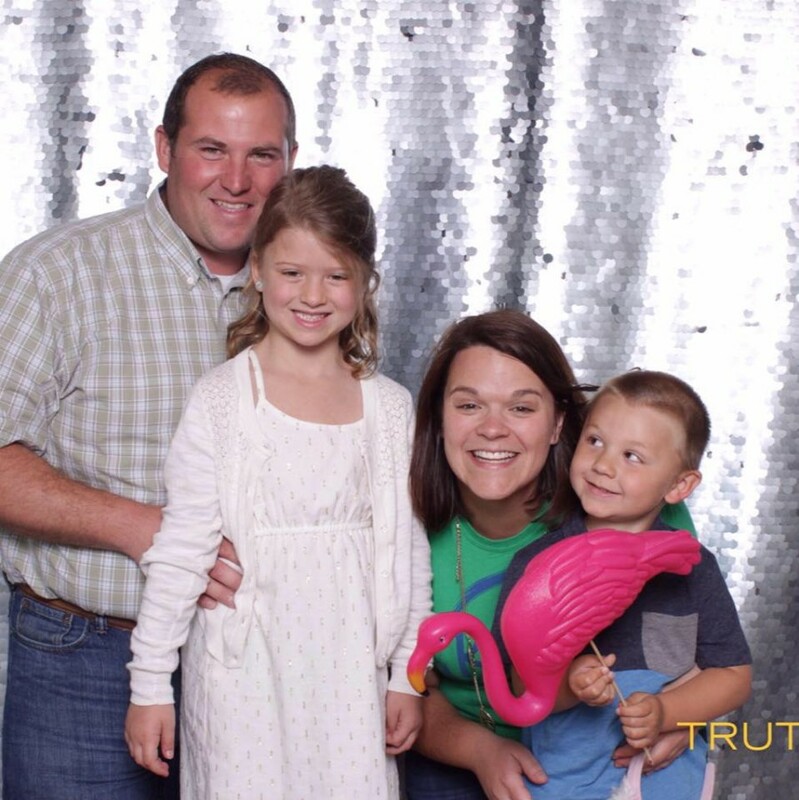 Experiencing and serving in the groundwork of a church plant has been a blessing to the Sellars family. But Peggy’s sweet smile has been an even greater gift to those of us she faithfully greets at RenoCity check-in, every Sunday morning.